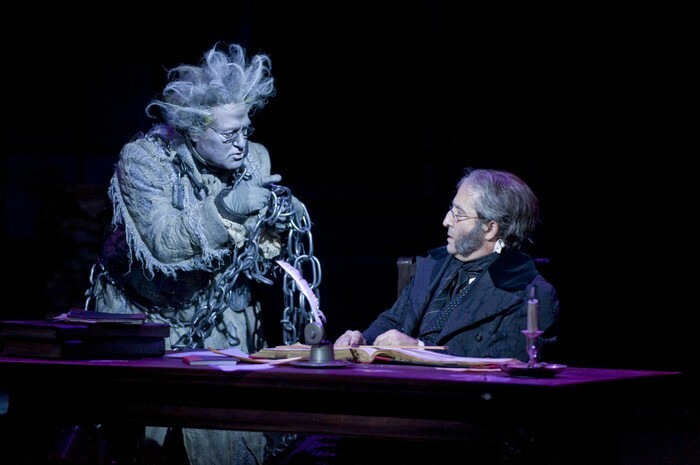 I think you should go see The Christmas Carol play because it is easier to understand than the book, it is entertaining so you can fell like your there in the scene and also because the setting of the scenes is cool and how they set it up. Whenever something funny or emotional happens in the play, you can understand how the character feels and you can also laugh when something funny happens. Also, you can kind of feel like your part of the scene because there are loud noises throughout the play and the lighting sets the mood like when it is dark, it feels like it is scary. In addition, the setting of the scenes were cool like Mr.Scrooges house showed both his office and his bedroom on different levels. In conclusion, you should go see the Christmas Carol play because it is well presented, you can will probably laugh during he play and it is enjoyable. Mr.Scrooge had to make sacrifices in the book and play and I also have to make sacrifices in my life. First, a sacrifice that Mr.Scrooge has to give is his time because he is giving his time to the ghost who show him the past,future and present when Mr.Scrooge could have been doing what he wanted instead. Also, a sacrifice that I have had to make is time spent into homework. When I have a test or a important project, I might spend more time doing that instead of homework from another class. In conclusion, Mr.Scrooge and I both have sacrifices that we make but we both have them for different reasons.